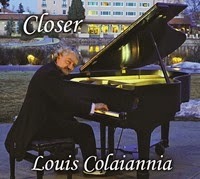 Louis Colaiannia has pursued music his entire life. A master pianist, composer, songwriter and performer, he works in and out of the studio to perfect his craft. His newest album, Closer will release in 2014 and shows a simpler side to Louis’s work. A resonating album of classical piano sequences with an occasional appearance of multi-instrumentation, this album is pure Louis all the way. Guest musicians include Jeff Oster, Noah Wilding, Jeff Haynes, Jill Haley, Tony Levin, Will Ackerman and Eugene Friesen. The album opens up with “Aurora.” It is the coming of the dawn. Trembling and sweet the day breaks through the confines of night, a blend of deliberate finger strokes that plod and accentuate the tender mercies of the golden morning. A light breeze shifts and plays amongst the dew covered daisies shivering in the field. 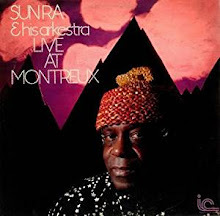 A Flugelhorn presents a rainbow of light, intertwined with melodic female vocalizations. It is pure. It is beauty. An awakening to a fresh new day. The story behind this beautiful and haunting piece is as inspiring as the music itself. It was written just after the horrific shooting in the Aurora Theaters in July 2012. It is dedicated to all the victims, families and those impacted by the terrible event. All proceeds from this song with be donated to COVA (Colorado Organization for Victims Assistance). The piece features Jeff Oster with the Flugelhorn and Noah Wilding. “Breathing” is a walk in the park in the middle of the afternoon. Thoughts of the day accumulate. The freedom to embrace nature and spend some time among the trees is a breath of fresh air. Piano sequences well thought out in their complexity and pensiveness play out as you work out the tangled thoughts in your mind. Stop and start. Press fingers to keys. Let go. Press down again. Release. Yes. It is about the tender release o/f pent up things. Thoughts and feelings that hold you down. Breathe as you let go. This piece is solo piano with Louis painting the entire piece key stroke by key stroke. “Tears” grabbed me right away. It is a study of contrasts. Light and dark fight for dominance. Strings take flight over the masterful piano playing, marrying into one beautiful tapestry of sound. This is what emotive music sounds like. The melodies rising from the speakers do indeed bring tears. Happy ones as the tumultuous thoughts of the day bubble up and out in a frenzy of expression. Music is freedom. The very breath of the soul as it takes flight. The guest artist on this work is Eugene Friesen. Closer was produced by Will Ackerman at Imaginary Road Studio in Vermont. Releasing in May 2014, listeners will love this album. It is a blend of solo piano and guest artists that blend together to craft an album well worth waiting for. Thought provoking in its simplicity, the compositions are artful and made me close my eyes for a welcome respite from the busy vortex of the working day world.